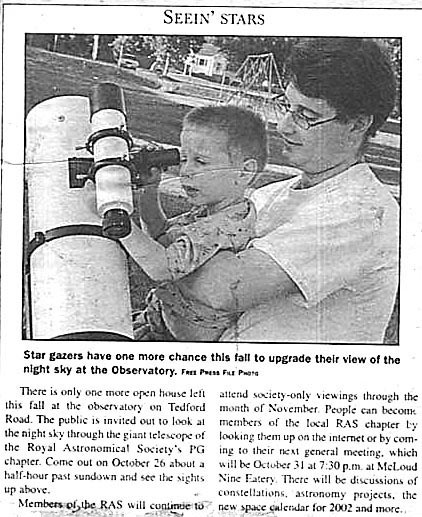 Overview:Announcing the end of the 2001 fall public observing season. Brian Battersby and his son Lucas (3 yrs.) pictured. This entry was posted in 2001, Newspaper Articles on October 27, 2001 by glen_h.